Chiefs Gab - Page 2 of 210 - The Definitive Kansas City Chiefs Blog! It’s a move that would send severe shockwaves throughout the NFL, and make the Chiefs not only the number one contender in the AFC, but make them the top contender to win Super Bowl LIV in the NFL betting selection at 888 Sport NJ. 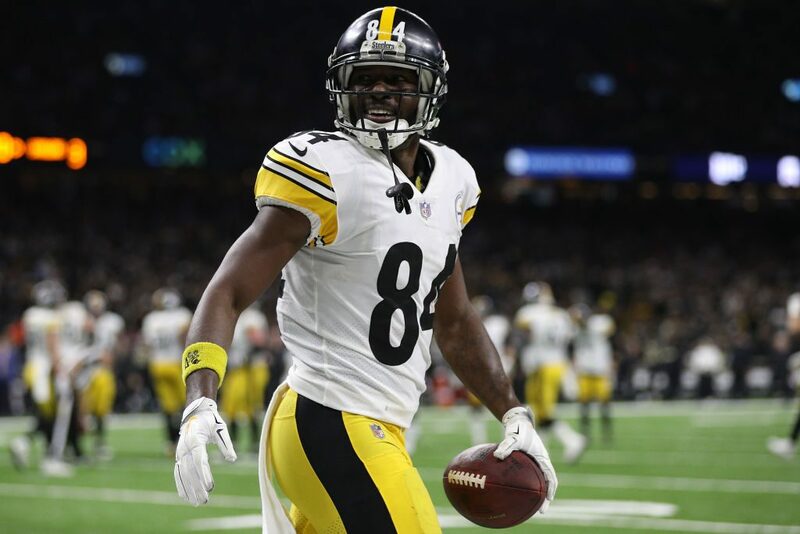 The move would be one that would net them all world wide receiver Antonio Brown, a current unhappy player stuck on a fractured team in Pittsburgh playing with the Steelers, who collapsed last season and missed out on the postseason for the first time in four seasons. Brown is dynamic, makes crazy catches all over the field (as Chiefs fans have seen over the years), and is a game changer at a position that is more and more valuable now with the Chiefs having a MVP at quarterback with Patrick Mahomes throwing passes. Could you imagine Brown catching passes on a weekly basis from Mahomes? Forget about last year’s stats with the Steelers when he still had a monster year with 104 catches for 1297 yards and 15 scores, Brown in Kansas City could have well over 1700 yards catching the football and likely close to 20 scores with Mahomes zipping balls to him all over the field. The biggest question about a possible deal that could get Brown into Arrowhead Stadium would be – what would it take to get him to Kansas City, and would the Steelers ever do such a move knowing that the Chiefs would clearly be the best team in the AFC with him on their roster. The answer to A would be a simple one – that being what it would take to get Brown to KC? – A LOT. Think about the fact that the Steelers are already saying they want no less than a first round pick for Brown, and add another pick or two and you’re talking. The Chiefs do have other holes on the roster to fill come draft time, and while adding a player like Brown would be fantastic, it also would cost them quite a bit to make it happen – maybe too much. Second would be if the Steelers would ever do such a deal – and the answer to that is likely no. Pittsburgh does not want to put itself in even more of a hole in 2019, as they already appear to be getting ready to head into the offseason with Brown gone via trade and Le’Veon Bell history after he sat out all of last year due to a contract dispute. 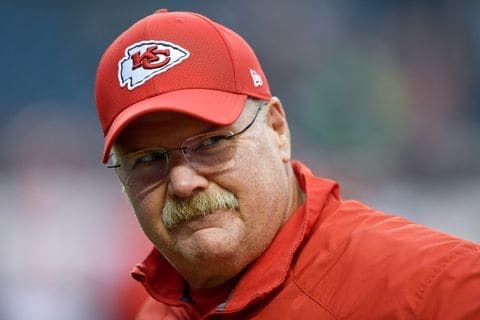 Pittsburgh is pretty smart when it comes to dealing, so don’t think for a second they want to make the Chiefs any better than they already are. It would be fun to think about though, and who knows, if no other team comes up shooing, maybe the Steelers would actually consider it. Fun to think about – but almost a sure ‘no go’ for the Chiefs moving forward. Last year Pat Mahomes stood on the bench with a baseball cap watching as Alex Smith and the Chiefs fell in an AFC Wild Card game at home to the Tennessee Titans. A deal with struck in the offseason, sending Smith to the Washington Redskins and opening the door for Mahomes, who not only walked through the door, he blew the entire building to the ground. 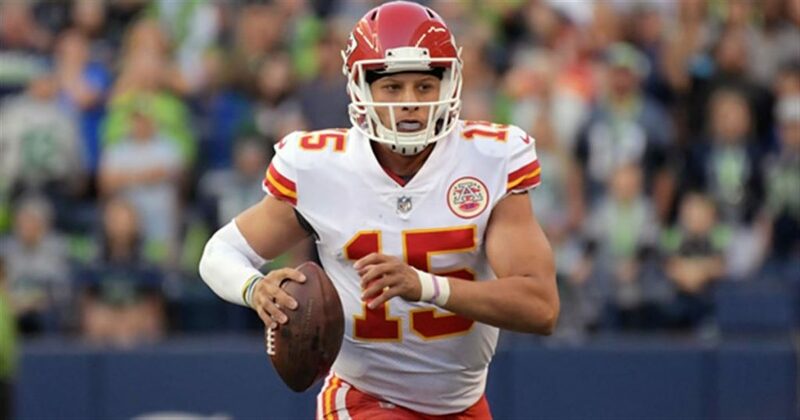 Mahomes took the NFL by storm in 2018 with 50 touchdowns as he led the Chiefs to the AFC’s best record and a home AFC Title game which was won by the Patriots in overtime. 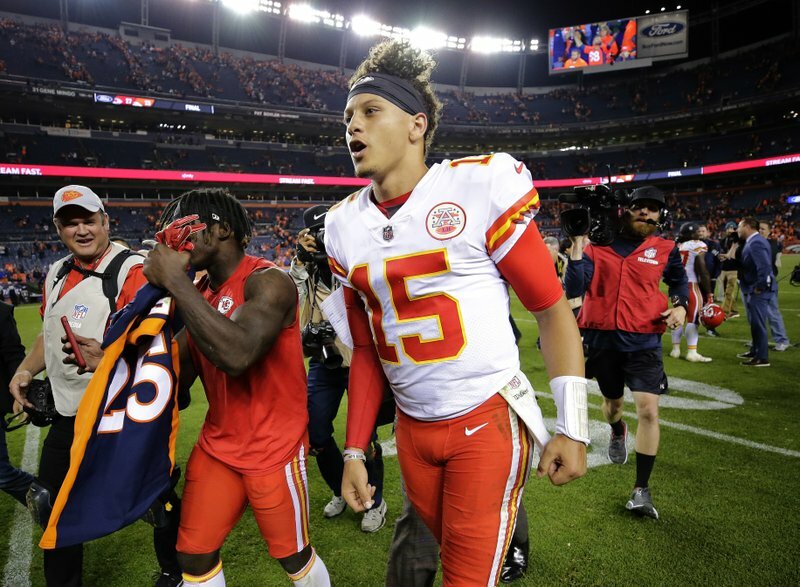 For his 2018 season, Mahomes was named on Saturday night as the league’s Most Valuable Player. The Cheifs QB received 41 votes from a nationwide panel of media members who regularly cover the league, easily beating out Saints quarterback Drew Brees, who earned nine votes. For Mahomes and the Chiefs, 2018 is just the beginning. 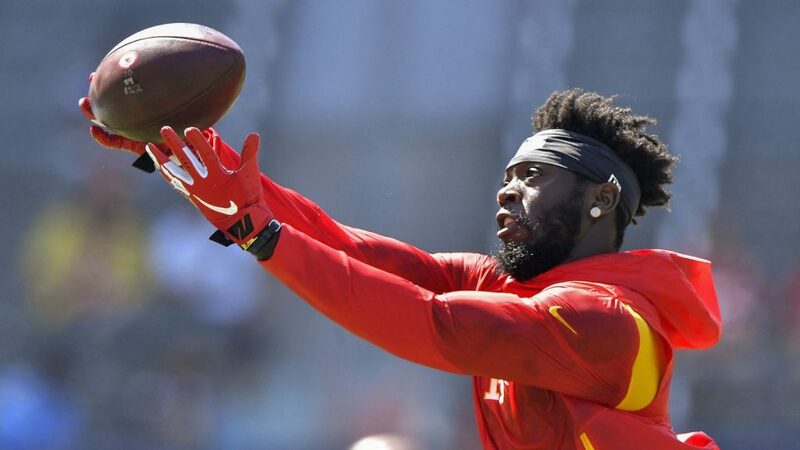 Chiefs wide receiver De’Anthony Thomas was arrested Saturday on suspicion of marijuana possession and drug paraphernalia possession, according to the Allen County Sheriff’s Office, ESPN reports. 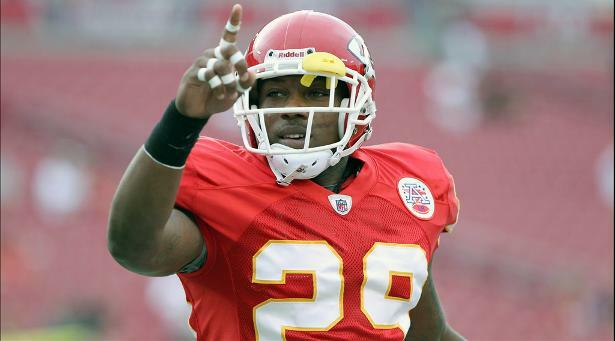 The Chiefs told the Kansas City Star that the team was aware of Thomas’ arrest but offered no other comment. 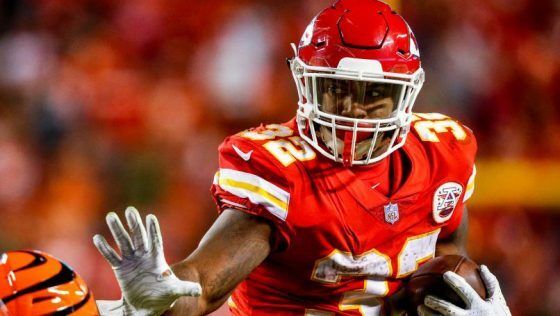 Chiefs veteran running back Spencer Ware was upgraded to “full” in Thursday’s practice according to the team’s official website. Ware has been unable to suit up since Week 14 due to a hamstring injury. He was expected to be the main back after the release of Kareem Hunt but his injury opened the door for ex-Dolphin Damien Williams, who has taken the starting job by storm and run so well that he earned himself an extension from the team through 2020. Even if Ware suits up against the Patriots Sunday, he will be used more as a change-of-pace back like he was with Hunt. Sunday night at frigid Arrowhead Stadium the Chiefs and Patriots will do battle for the second richest prize in the sport, that being the chance to represent the AFC in the Super Bowl in a couple of weeks in Atlanta. The Pats and Chiefs are 1-2 in the AFC, and while it’s hard to bet against Tom Brady, the Chiefs are hoping for a better result than the first time around when the teams played in New England earlier this season. Today we look at three things the Chiefs need to do to avenge that earlier loss, a 43-40 win for the Pats, and how this time around it can be different for Kansas City. 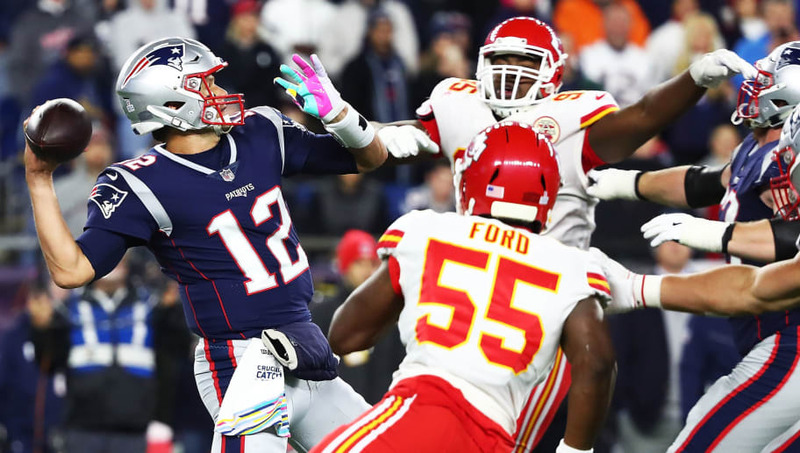 The last meeting which saw 83 points scored saw the Chiefs get to Tom Brady for a pair of sacks, but overall they need to find a way to put more pressure on him this time around. The footing in Kansas City might be such that dropping back to pass could be an issue with the snow and possible mud and what not, so it might be easier to get to Brady, who of course will try to get the ball out quickly. Chiefs running back Damien Williams did little in the first meeting due to the fact that Kareem Hunt was still on the roster as the number one back. This time around Williams is the lead back, and his ability to run or catch is going to be a huge key for the success of the Chiefs offense. Look for the Chiefs to get Williams into space and get some early momentum. If they can do that, it will give them a much better chance to get the win. With the weather calling for snow and cold, it could turn into a game where the classic case of whoever wins the turnover battle wins the game. In the case of the Chiefs, they have to make sure to be careful with the ball, but also have to find a way to get it out of the Pats hands when they have it. At the same time, they have to not allow players like Sony Michel to break easy tackles just because they are going for the strip of the football. The Chiefs lost the turnover battle 2-1 in the first game, and lost the game by three, so go figure.